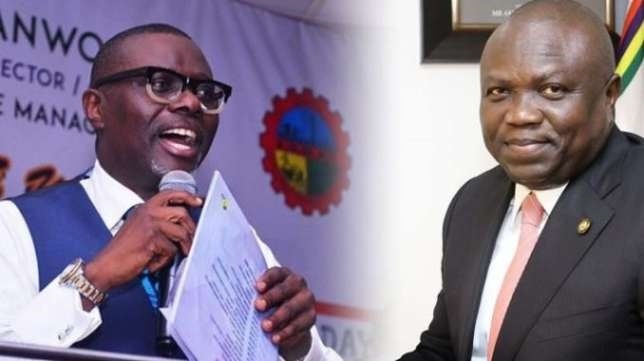 Babajide Sanwoolu defeats Akinwunmi Ambode to win Lagos APC governorship ticket. Ahead of the 2019 general elections, President Muhammadu Buhari, Governor Akinwunmi Ambode of Lagos State and the All Progressives Congress (APC) governorship candidate, Babajide Sanwo-Olu have collapsed their campaign teams, floating a new group, Independent Campaign Group, ICG. The groups, which harmonized their structures were the Buhari and Osinbajo Campaign Support Group (BOCSG), Ambode Mandate Support Group (AMSG) and Babajide Olusola Campaign Organization (BOSCO. Specifically, the groups were collapsed with the aim to involve all members of the party in the activities leading to 2019 elections. ICG, it was learned would be led by Bola Tinubu’s former Chief Detail, Tayo Ayinde, who was until the merger, Director-General of BOSCO; while former Lagos West APC Vice chairman, Cardinal James Odunbaku, would act as his deputy. Others on the list include: former chairman of the Peoples Democratic Party, PDP, in Lagos State, Moshood Salvador, who was named as Assistant Director General from West Senatorial District; Wahab Alawiye-King, will serve as Assistant Director General, Lagos Central Senatorial District.